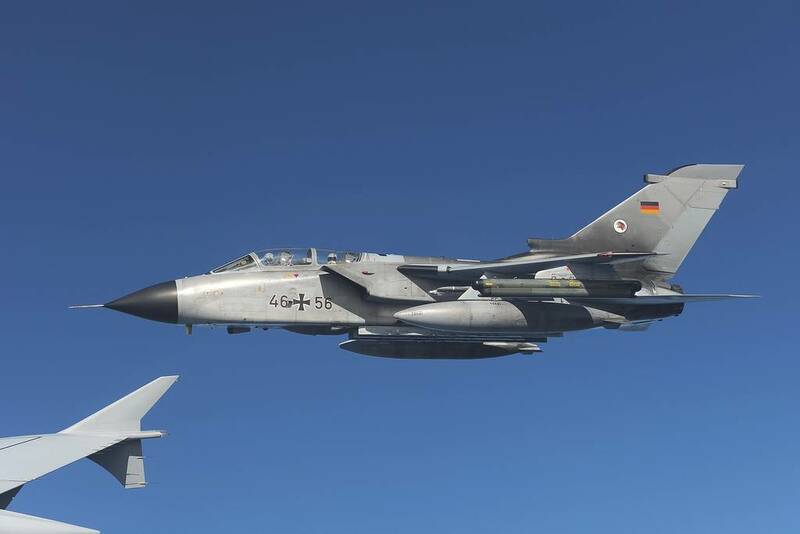 The German Air Force bought four Airbus A.310-304 aircraft between 1996 and 1999 for the refueling of their fighters (Tornado and Eurofighter). 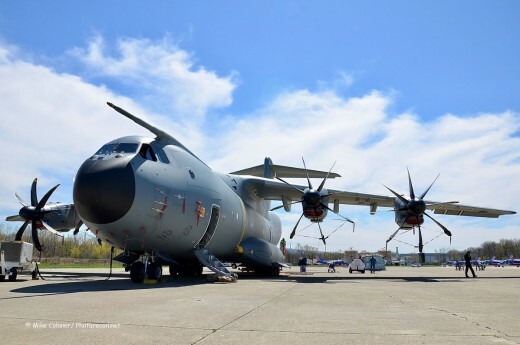 They were initially converted into Multi-Role-Transport (MRT) aircraft and later received additional removable equipment to refuel aircraft at Dresden, thereby changing the type into MRTT (Multi-Role-Transport-Tanker). All aircraft received names (10+24 “Otto Lilienthal”, 10+25 “Hermann Köhl”, 10+26 “Hans Grade” and 10+27 “August Euler”). 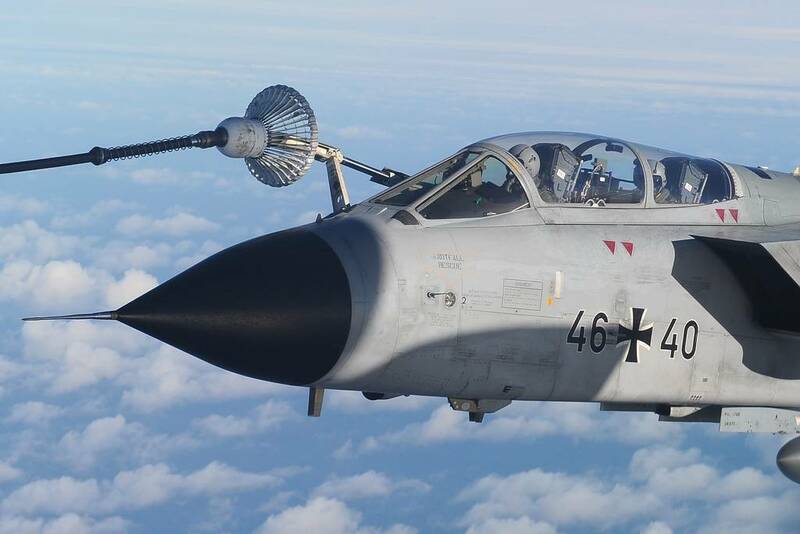 The air refueling takes place at a speed of 370-560 kilometers/hour (km/h), at an altitude between 1.500 and 9.000 meters (m). 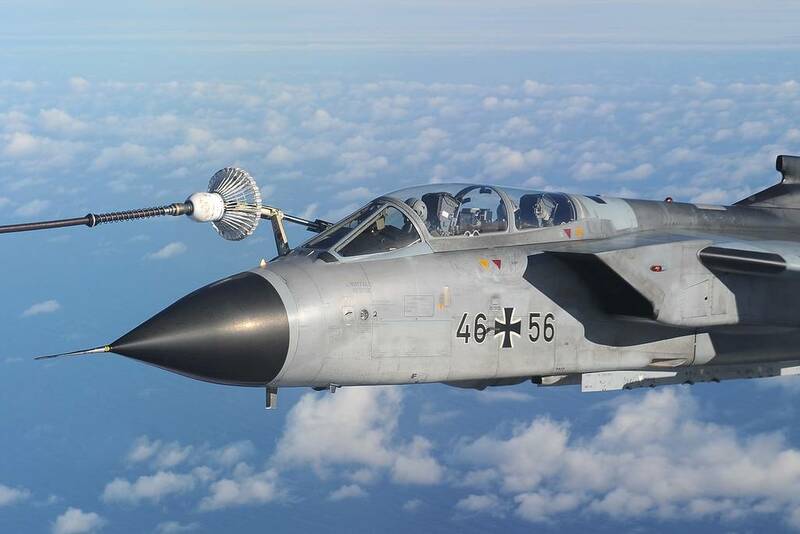 The refueling system works according to the “hose-and-drogue” system, in which a 22 meter long fuel hose with a refueling basket at its end rolls out from both underwing pods. Using hydraulic pumps in the main tank, up to 1250 kilograms (kg) of fuel per minute can be given, at the same time, over both sides of the wing to receiving aircraft. Each refueling process takes place according to an international standardized method and in pre-located airspace. Responsibility for the proper conduct of refueling procedures rests with the Airbus’ on-board situated Air Refueling Officer (ARO). Through the control-and-monitoring station behind the cockpit position, he coordinates and controls the refueling process. For this, he is in constant radio contact with the tanker crew and the pilots of the receivers. 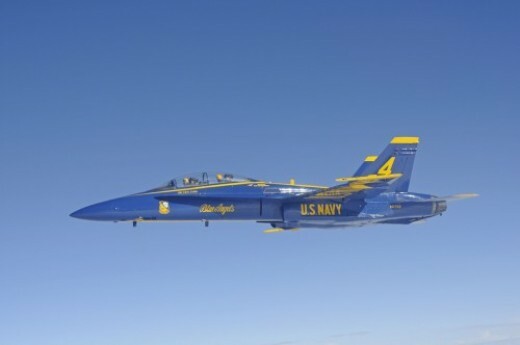 With the means of built-in video and infrared camera systems, he can monitor what is happening on two screens at his console and record the activity, even on nighttime missions. 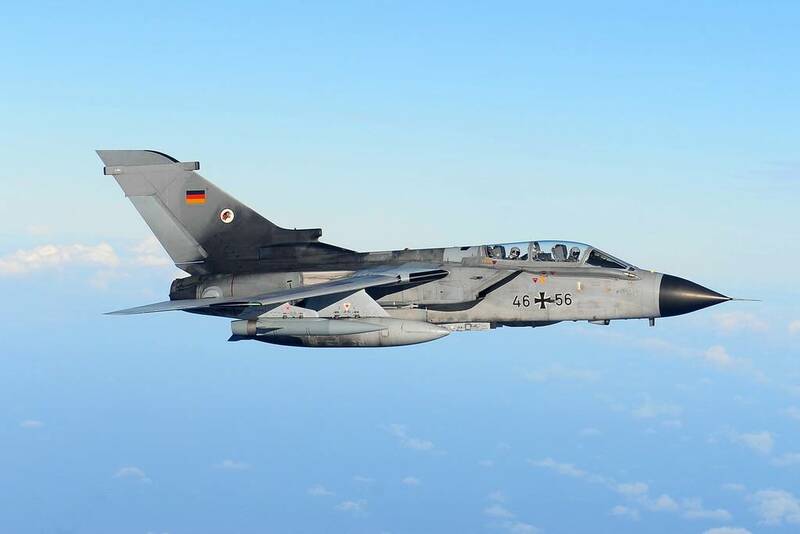 The Bundeswehr moved six of their Tornado ECR jets from TaktLwG 51 from Schleswig-Jagel to RAF Leeming for Exercise Joint Warrior 2015. From there they flew daily missions for this exercise and were refueled by tankers of the Luftwaffe. 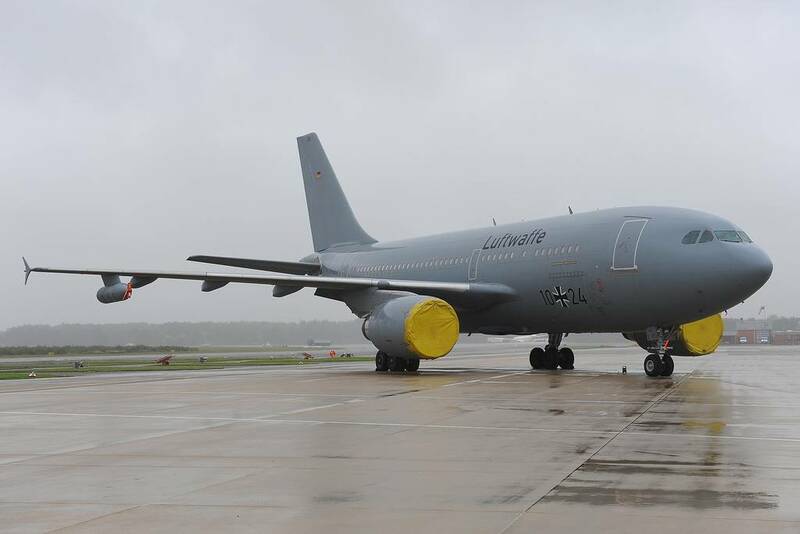 The A310 MRTTs are based at Cologne/Bonn in the Special Air Mission Squadron of the Air Force. From there we started at 09.15; our mission led us to an area east of Scotland. 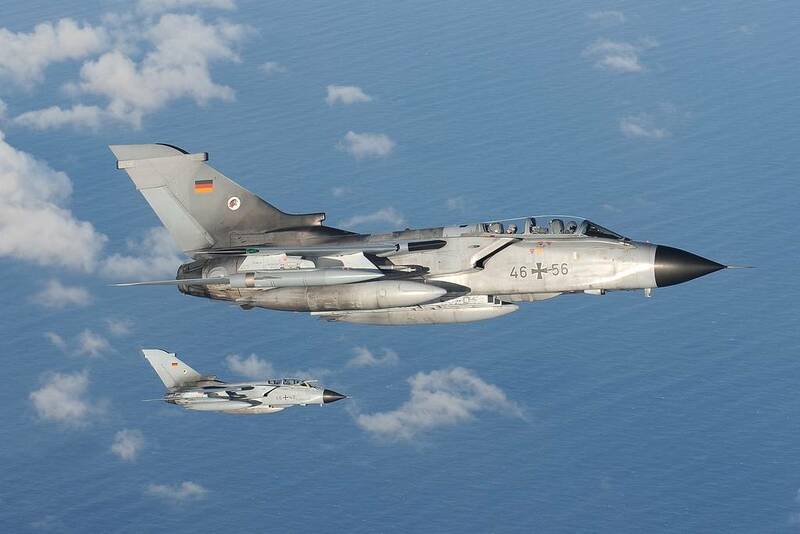 The call sign for our flight was GAF996 (“German Air Force 996”), this was later changed to “COBO31”. 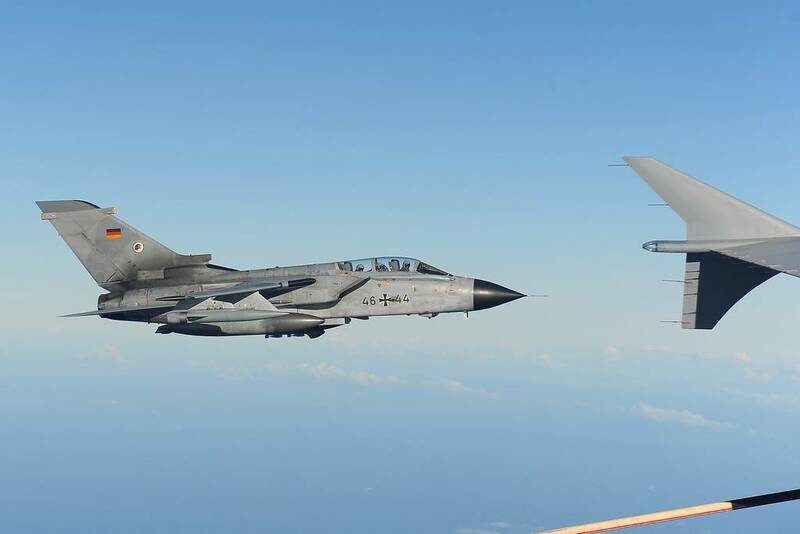 For our air refueling mission, four Tornados were expected. The first two ECR Tornados “Tiger 21 and 22” (serials 46+56 and 46+48), approached the tanker aircraft at 10:13 and went to our left wing. 46+56 swung to the right side and sat down behind the boom and was refueled , the second aircraft was refueled at the left side. 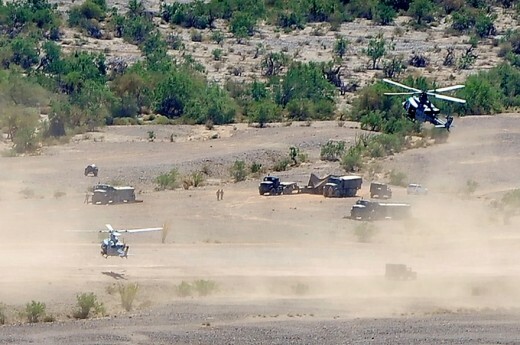 The same happened with the second team, one right and the second left, involving “Raptor 21 and 22” (46+40 and 46+44). 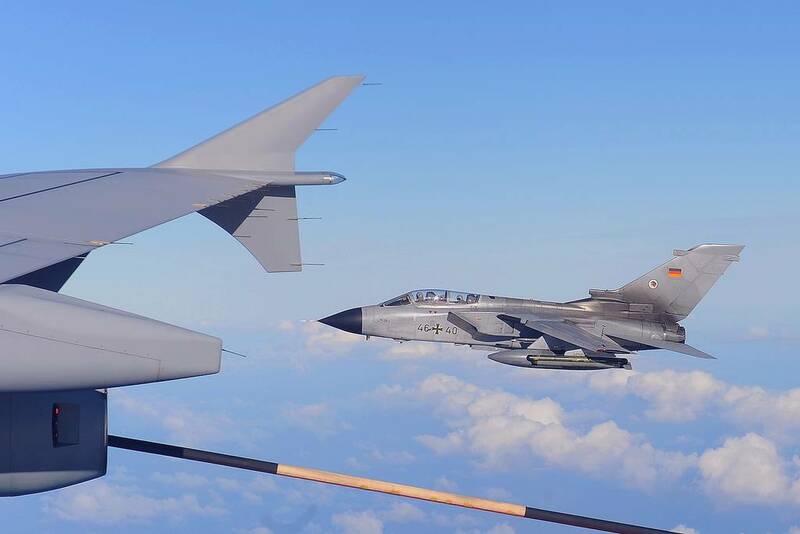 The refueling took about 35 minutes and there were 12.1 tons of fuel poured into the Tornados, over three tons for each. Then the Tornados went off and continued their mission. At this point it should also be mentioned an exact procedure is necessary to perform the refueling successfully. 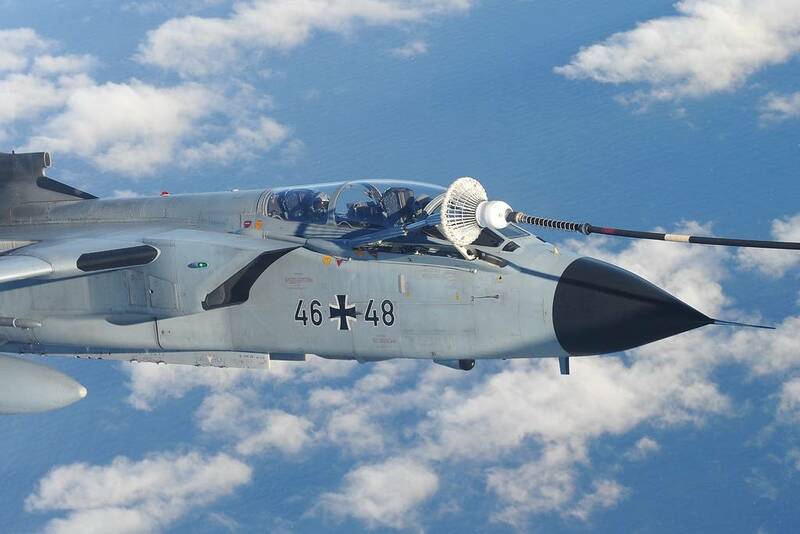 The German Air Force refuels their planes daily and thus achieves a high standard. Errors may not be made in such missions. Therefore, the refueling is practiced repeatedly until it can be handled perfectly. You have to have experience this yourself… the refueling hose floats somewhat erratically in the air, and the pilot is dragged behind the A310 MRTT, which moves about in the air too. 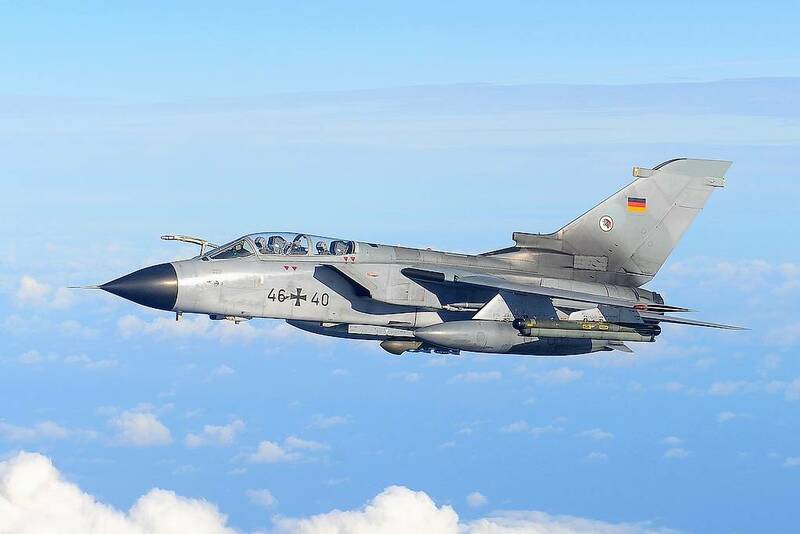 The pilots of combat aircraft attain a very high level of expertise while training in these exercises. 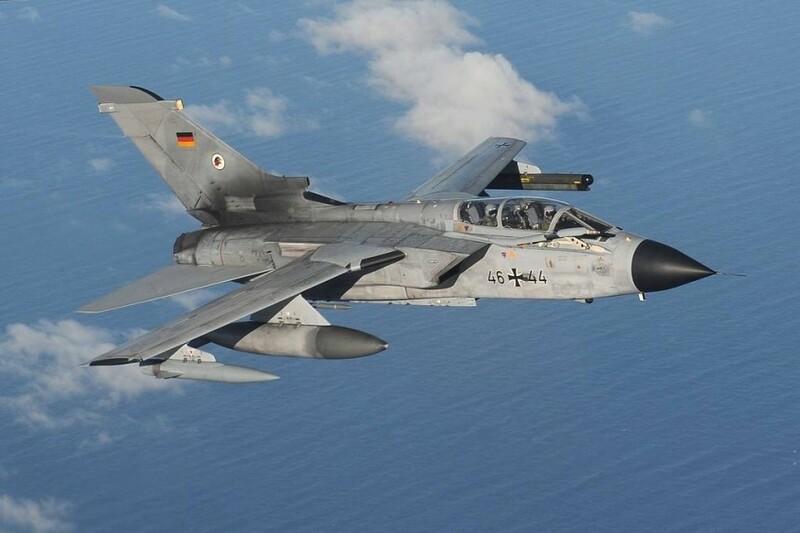 I want to thank the PIZ and the Flugbereitschaft of the German Air Force who have supported me with my report. 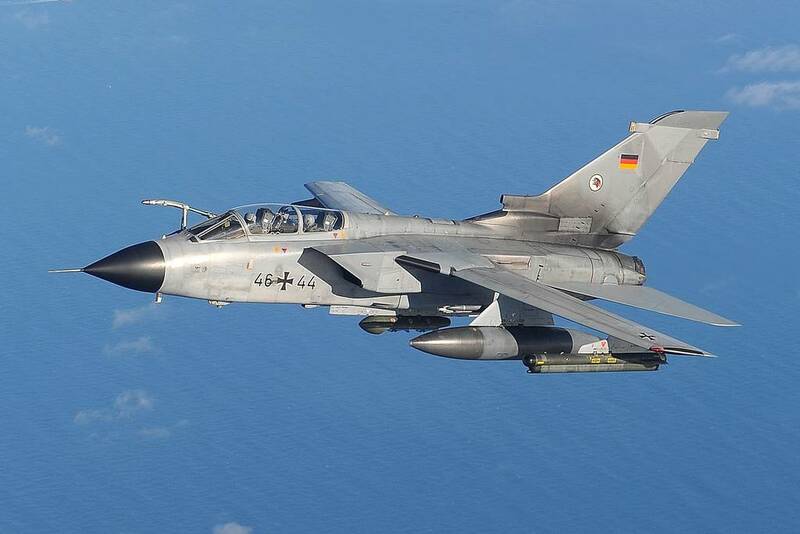 The A.310-304 is powered by two General Electric GE CF6-80C2A2 with a maximum thrust of 236 kilonewtons (kN). At a cruising speed of roughly 860 km/h, the maximum range of the A.310 is about 11.000 km.